Neymar is struggling to adapt to the way of working of Paris Saint-Germain coach Unai Emery and especially the length of video sessions claimed a Brazilian news outlet. Since his record breaking move from Barcelona, Neymar's life has constantly been in the spotlight in the French capital and especially his relationship with his new coach and teammates. 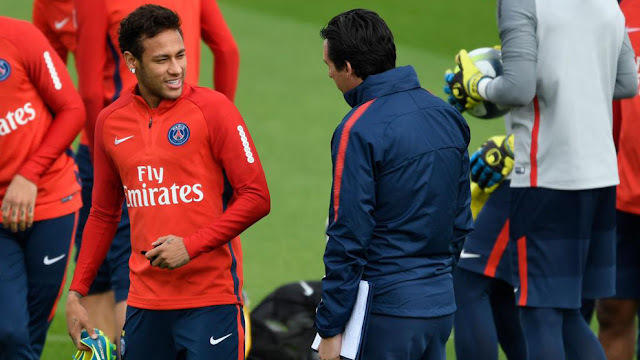 UOL Esporte said that Emery likes to spend 30 minutes going through edited videos just for the striker and that Neymar has spoken to the PSG board and his teammates that he is unhappy about it. With the national team Neymar also uses videos although they are shorter. "Neymar needs some time in order to adapt and for his teammates to adapt to him," stated Emery. "He is a player that causes a lot of pressure and threat when he has the ball and he has had a lot of success already with us. "It is Neymar, he plays like Neymar and he will develop like Neymar. "We are analysing some videos with him to look at how he can grow especially in his positioning and his work with his teammates.